Precor EFX 833 Elliptical Crosstrainer w/ p30 Console, bring home the exact EFX model you use at your fitness club. 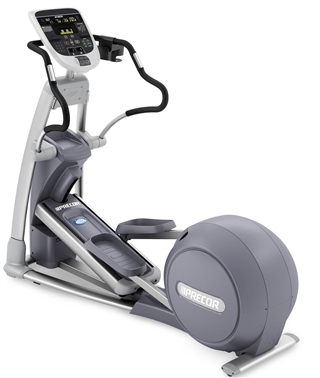 The Elliptical Fitness Crosstrainer provides smooth, natural, low-impact workouts that help you get results. The commercial EFX 833 features CrossRamp technology, fixed handlebars for a lower-body focus and all of the same programs and features.